Crunchy or creamy peanut butter? I try to keep related stuff together so I'd know where it could be, but I checked every spot that could have it. I hate my mind sometimes. Anyway, the little stub nub of a stick just isn't cutting it for me. It's just too small, and to packed into that corner. Would it have killed them to lower the buttons down more and make that bigger and more centered? EDIT: Man I had an even better run this time in the game. Was on a killing high if you will. also does everyone have their tickets? aren't we all noobs in the inside? Hope we get majoras mask 3ds release date along side Nintendo confirming the n3ds release date. Wait, 6 AM PACIFIC TIME!?! Why that time, I thought they show the directs around 2 PM Pacific time. I'll have to wake up early for it then. Joy. Sigh..... Only NoA would stop me from giving them my money. 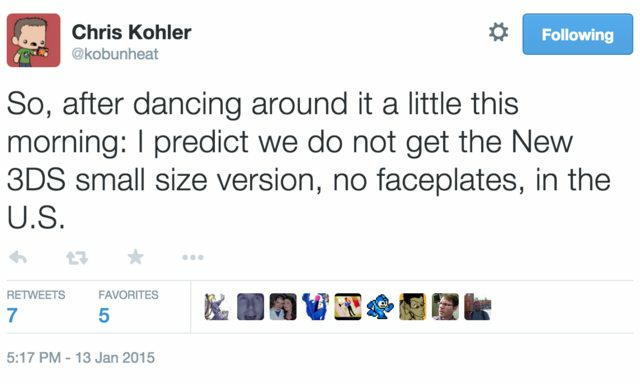 He predicts, so no evidence to back it. We know in the morning though. That poster has me worried he's right but we won't know till the direct, I hope he's wrong. Tingle is playable in Hyrule warriors. I'm happy, but sad Skull Kid isn't. How is their a majoras mask 3ds that isn't purple how?? Why wouldn't you release the new 3ds here too why only the n3dsxl, do they have any idea how much money people would give them including myself for faceplates??? Nintendo had been drinking the stupid juice lately. 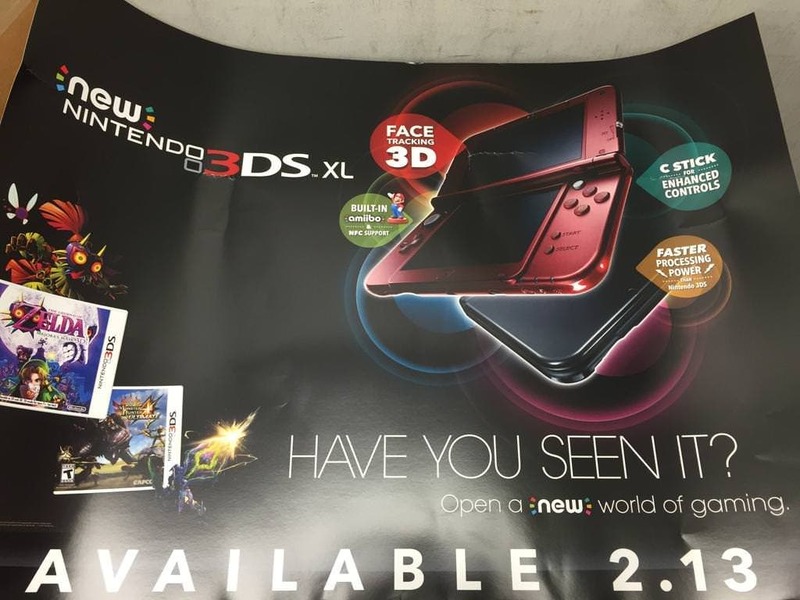 and heres their reason why they arent selling the new 3ds in na. Saw it, managed to get one even though I am still buttmad because no new 3ds, did u managed to get one? I did, I've had my 3DS since launch, and the screen on top is starting to die, like a bit of black on the screen appears when it's white enough. Shame it doesn't come with a charger or the game. I don't plan to get rid of my 3DS anyway, but I'll probably system transfer, if I can find an 8 gb micro sd card for it, so I won't have to worry about the charger. You are correct, that majoras mask is going to be amazing. I am honestly p hype about Majoras Mask. I havent played that game in years but I remember liking it a lot, even more than Ocarina. I didn't even realize the game was coming out so soon. Can anyone explain the appeal of monster hunter to me? FearlessSasuke wrote: Can anyone explain the appeal of monster hunter to me? I can send you a code for the demo if you want to try it out. If you're a US resident and have a 3DS.